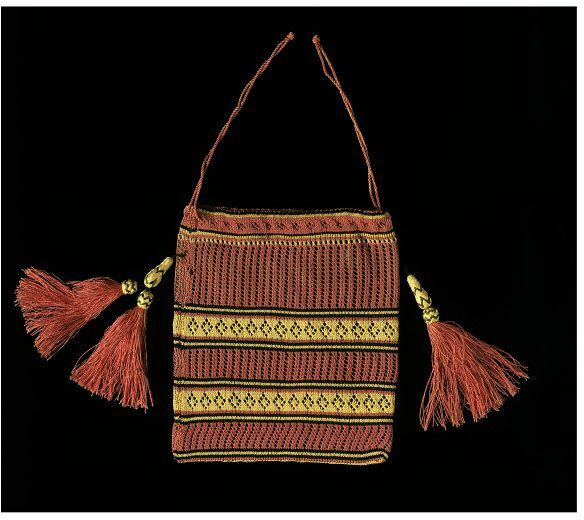 Many thousands of small purses were knitted, embroidered or crocheted in the nineteenth century, intended either for personal use or as a gift or donated to a worthy fundraising cause. Crocheting, incorporating brightly coloured beadwork, was popular in the 1830s, but it was knitting as a domestic craft that thrived as a elegant drawing-room occupation. Much time was devoted to making intricate and delicate items of fancy work without obvious use. 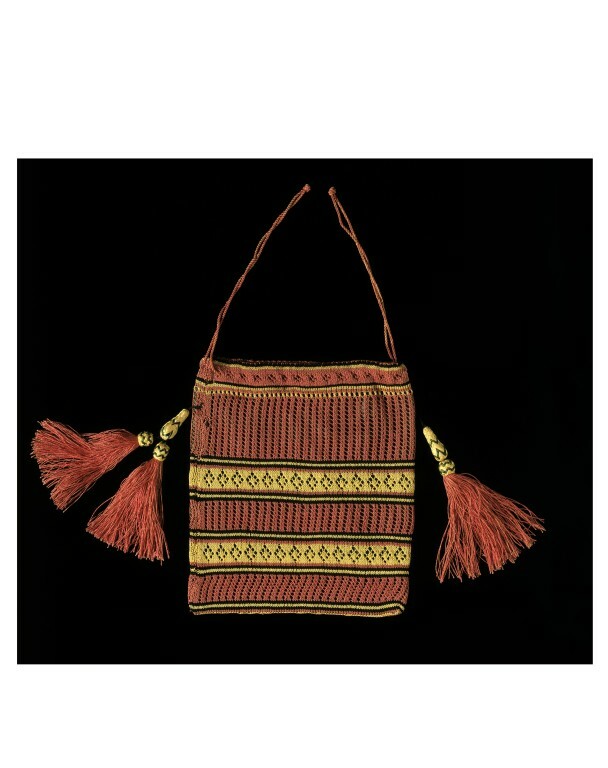 Orange and yellow purse, square shaped, decorated with a pattern of openwork stitches and two tassels,with a drawstring to close the top. 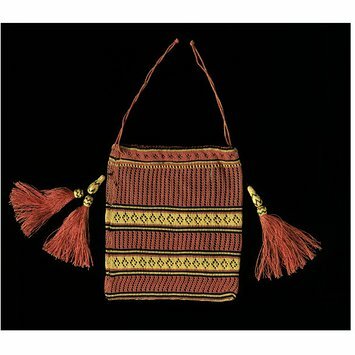 This rectangular-shaped bag, knitted in stripes and patterned with openwork stitches, is made in one flat piece and seamed across the bottom and at one side. It closes with a drawstring at the top.